tents are made to stand out. Did you know that we can cover almost entire roof of Allianz Arena (38.000 square meters) with canvas we have used so far for our tents? Fullfil form bellow and receive our latest catalogue. 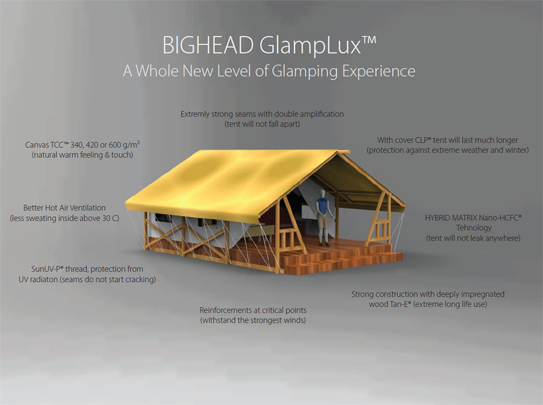 2018 BIGHEAD glamping tents - premium glamping tents manufacturer from Europe - All Rights Reserved.